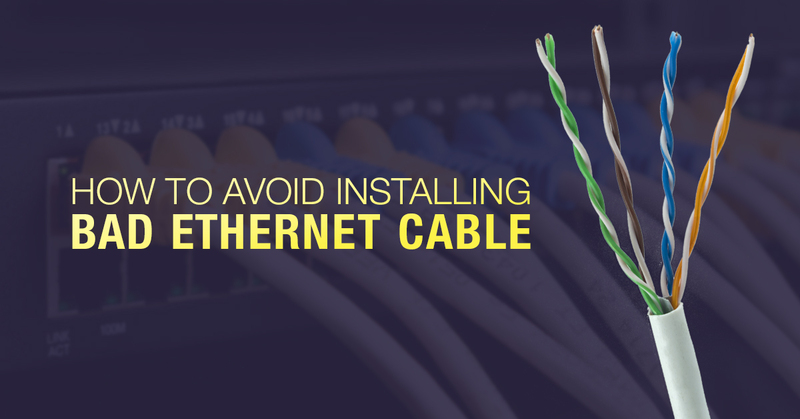 When a cable install goes wrong, it’s a costly mess. If you haven’t experienced one, you’ve heard about one. It often catches everyone by surprise. On acceptance, or when the customer starts using the network in production, something just isn’t right. It could be the cable, someone says. But Cat6 cable is a commodity item, right? Even the cheap overseas type? Still, your reputation is on the line, and the next suspect might be the installation. Let’s talk about the cable, also the risk of “copper clad” conductors. At today’s network speeds, things which go seriously wrong with the wiring can seem very subtle on visual inspection. Even within Cat6, there are 250MHz and 550MHz rated cable versions. Termination has to be 100%, not just making contact. Conductor twist must be consistent. Cable physical and electrical characteristics have to be 100% also, especially as the network evolves and physically ages over time. But even major differences like copper versus copper-clad conductors can be hard to detect at first. You’re dealing with radio frequencies (RF) going down the cable, and that energy can be mighty finicky. If you’ve ever put a tiny bit of metal in a microwave oven by accident, you’ve seen what a change in characteristics can do. Suddenly, the chamber is arcing and sparking as the RF waves start getting chaotic. Networking has a bit lower frequencies (so far), and much lower energy, but the concept is the same. RF complains mightily when it’s not happy with how you’re treating it. Installation stresses and damage are also important, as well as cable termination. Along the length of the cable, you need consistent and quality manufacturing for reliable cable capacitance, or else — think of the metal in the microwave. Things start to get chaotic. For steel, does a magnet stick to it? Does the cable or box mention CCA or CCS, or not mention solid copper? High-performance cable for today’s networks runs laps around cheap imitations. Make sure you know what you’re installing, and you can avoid performance and reliability problems down the line.